Affordable beauty brand Kokie Cosmetics arrived at Walmart back in the Spring but none of the Walmart stores near me carry it (such a bummer)! So it's taken me a while to finally try some of their products...for some reason I have no problem ordering expensive products online but when it comes to drugstore I much prefer to go and pick it up in person. I think it's because I don't want to have to pay shipping on an inexpensive item (or have to place a huge order just to meet a minimum). Anyway, I finally got the chance to try some products from the line and I'm really happy with them overall! 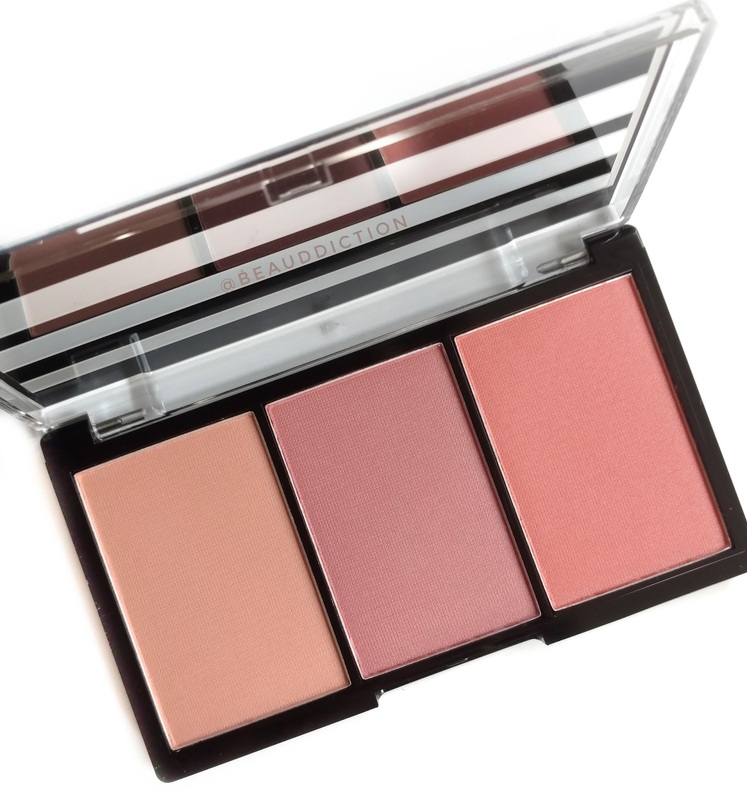 My favorite so far has got to be the Blush Up Blush Palette ($9). 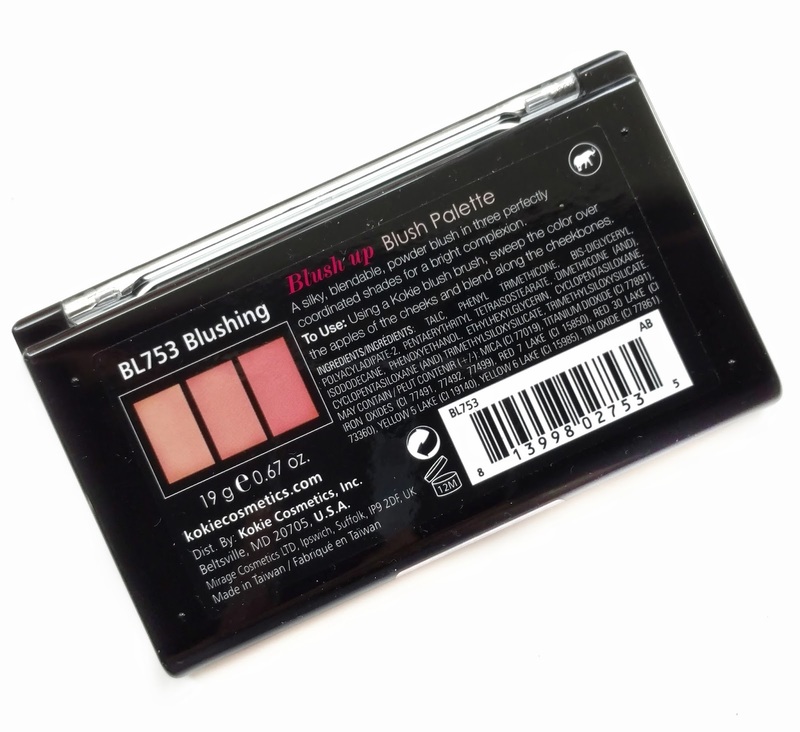 I got it in the shade Blushing, which has a combination of peach, rose, and coral shades. 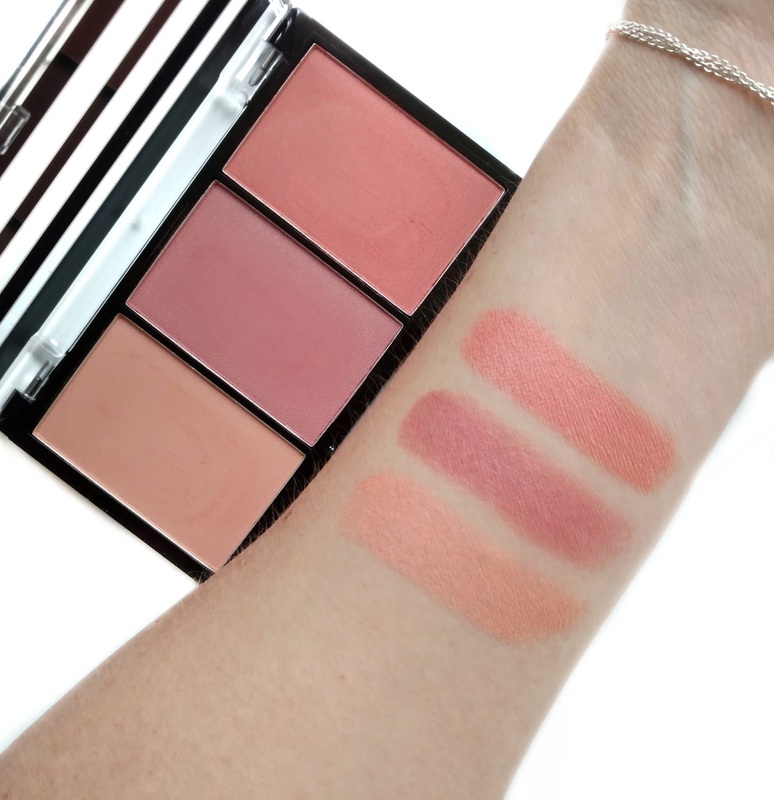 They actually remind me a little bit of the new Anastasia Beverly Hills Blush Trios and I'll compare them at the end of this post. 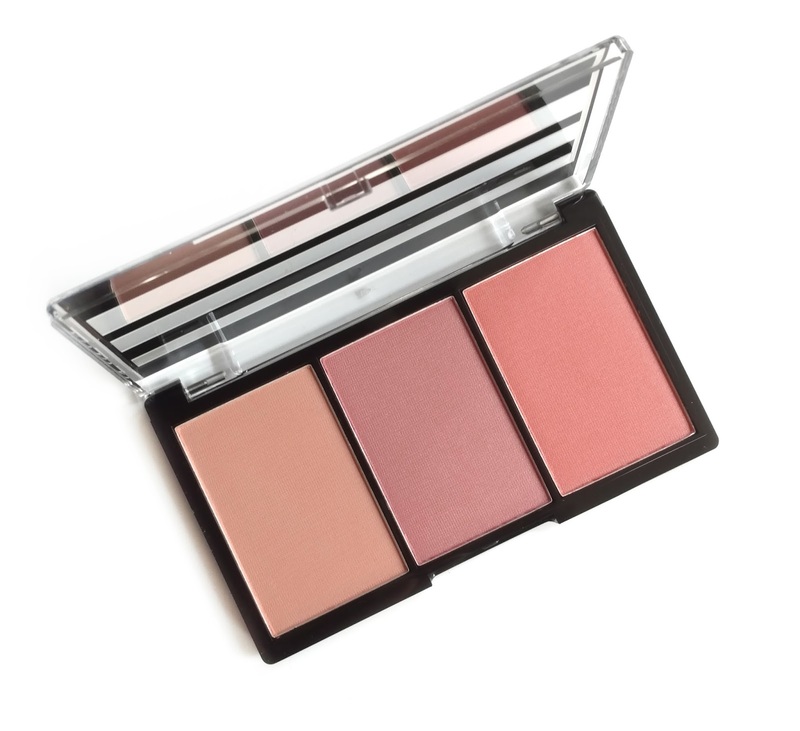 There are four different shade combinations to choose from and you get a little over half an ounce of product in the compact (.67 oz). 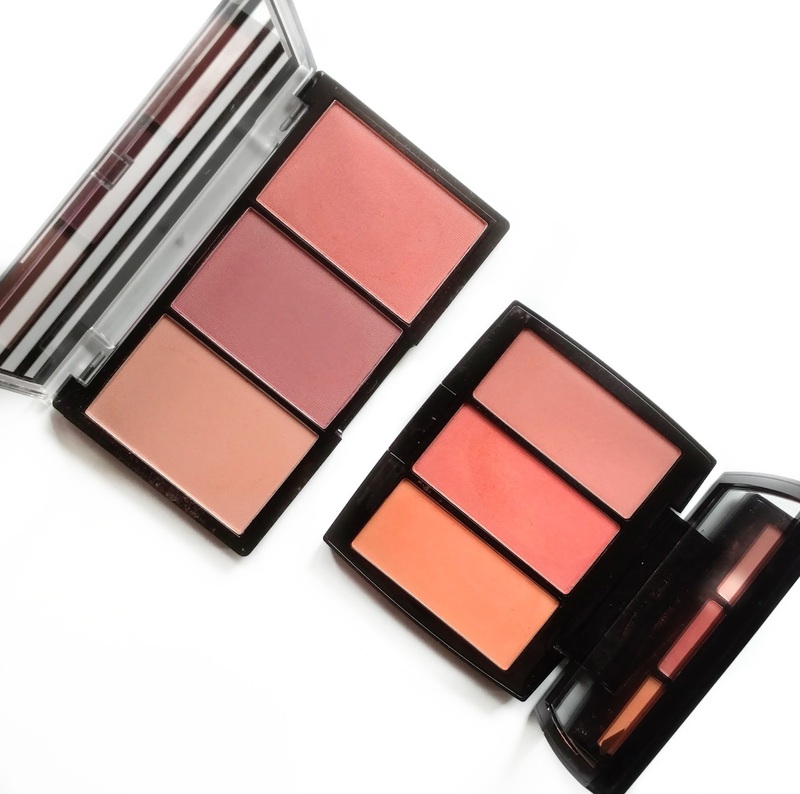 That's double the amount you get in the Anastasia Blush Trios (.33 oz). I really like the packaging as well...it's slim and travel/storage friendly but the pans are nice and large, perfect for getting a big fluffy brush in there. That was actually my one complaint about the Anastasia Trios...the blushes in their compacts are very skinny and I had to use a smaller brush or I would pick up two shades. The finish in this palette ranges from more on the matte side (the peach and rose shades) to satin (coral shade) but there's no shimmer or glitter in here at all. So if you have texture on your cheeks and want to stay away from shimmer, these are great. The formula is super soft, easy to pick up with a brush, and blends very easily on the cheeks. They remind me a bit of the Flower Beauty Flower Pots Blushes, which I love. They're very pigmented, so a little goes a long way, but because they're so blendable and soft, they just float over your skin, and won't give you clown cheeks. As I said in the beginning of the post, this palette reminded me of the new Anastasia Beverly Hills Blush Trios, specifically the shade Peachy Love. Looking at them side-by-side, they look quite similar! 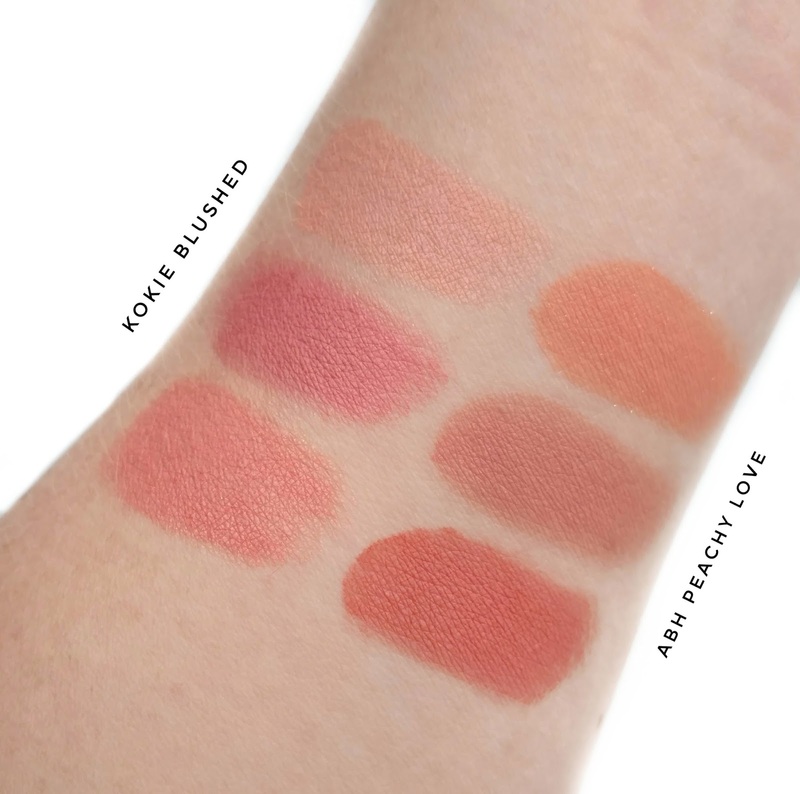 But when swatched, the Kokie palette in Blushed looks more pink compared to ABH Peachy Love. So while they're not shade dupes, the overall concept is very much the same and the quality is great in both cases. 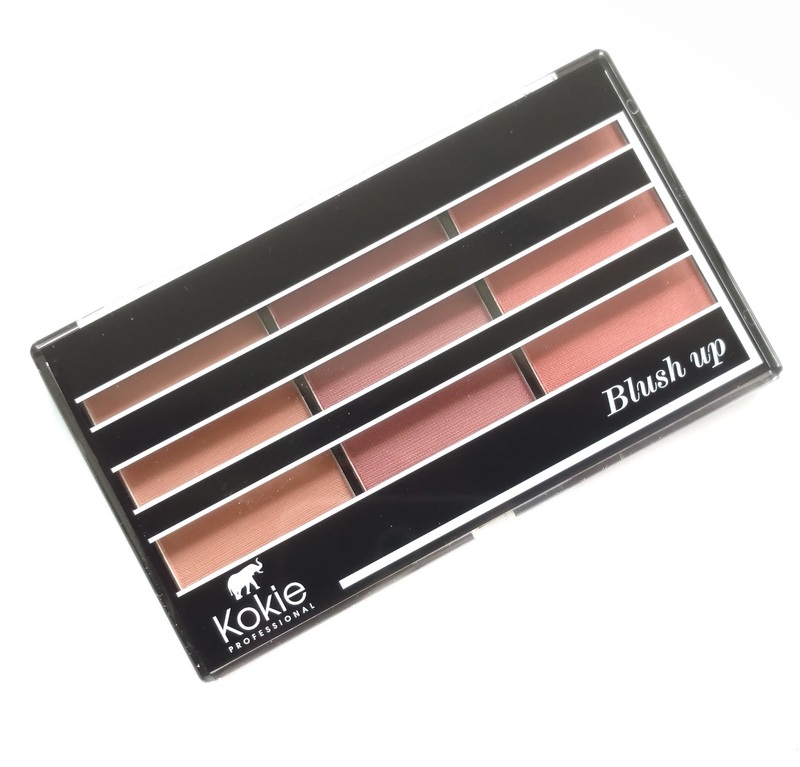 Overall, I highly recommend the Blush Up Palette from Kokie. I've already ordered another shade as well as their Volume & Length mascara which I've heard raves about on YouTube. I prefer to order from the Kokie website rather than Walmart because I've had issues with Walmart's shipping in the past (they don't wrap things very well). Kokie offers free shipping over $25 so it's not too difficult to meet the minimum.